One of the most iconic names across international auto scene, Toyota is the biggest automobile manufacturer in the world. The Nippon Company is famous for its long series of epic vehicles over the years. It produces a good range of cars from SUVs to pick-up trucks to luxury vehicles. Toyota vehicles promise top notch performance, great engineering and consequently carry high price tag. The company follows two main philosophy- Continuous improvement & respect for people which has surely upped the value of its cars and rightfully the price tag. With looks to die for, the 1998 GT-One Road Version is surely one of the most glamorous cars ever made. This dashingcar is backed by 3.6 l engine and produces a mighty 600 bhp power. It weighs around 920 kg. The 2000GT will definitely score brownie points for its exquisite outlook and it’s a sure-shot head turner. The car weighs around 1120 kg & comes with 2l engine displacement. 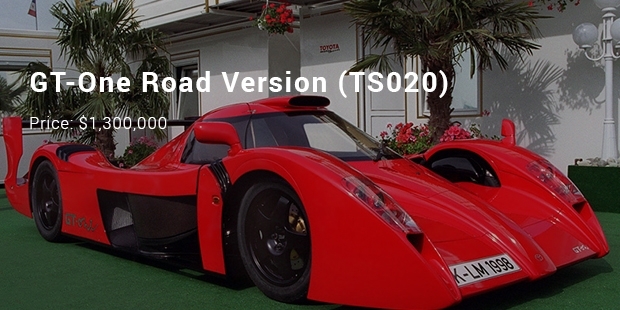 It produces around 150 bhp and its top speed is 220 kph. 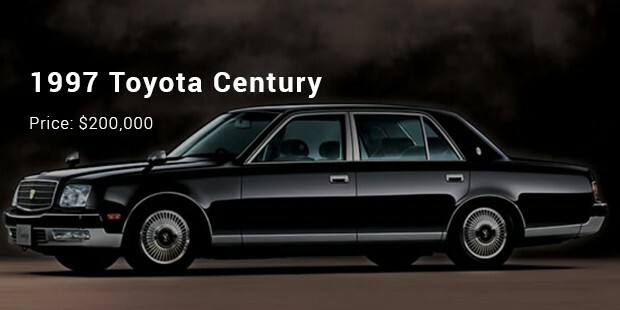 The Century looks sleek and smart. It is equipped with 5l displacement engine and produces 280 bhp. The car weighs around 1990 kg and its bhp/weight is 141 bhp/tonne. In regards, to top speed, the wheel runs upto 210 kph. 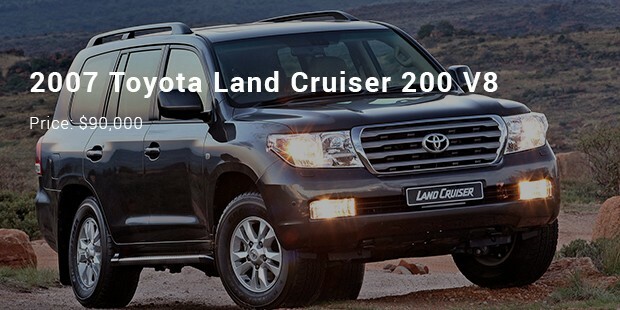 The Land Cruiser 200 is quite a robust steam and is best for your adventurous ventures. The car is designed with an engine displacement of 4.7 l and it produces 288 bhp . Its bhp/weight is 115 bhp/tonne and top speed is 200kph. 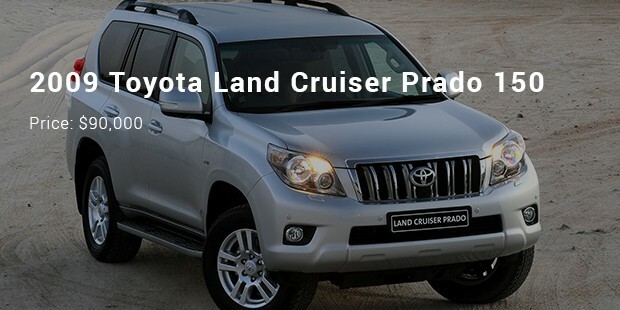 Toyota Land Cruiser Prado is known as the little brother of the land cruiser. It has a seating capacity for seven, the second and third row of seats are modified for customer comfort. Prado is available in two engine versions namely – 4.0 litre and 3.0 litre capacity. When you travel by Prado you will feel comfortable even on the worst roads. 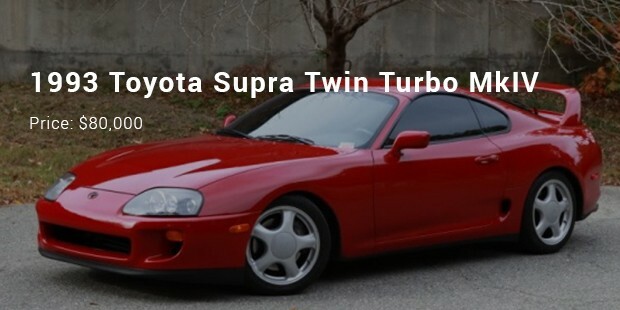 Toyota Supra is known for its two engines. One is the 220 horsepower engine with 3.0 litre capacity and another is the 2JZ-GTE Engine. The engines enable the car to have 400 to 500 horsepower. The car is lighter when compared to the earlier model making it likeable. 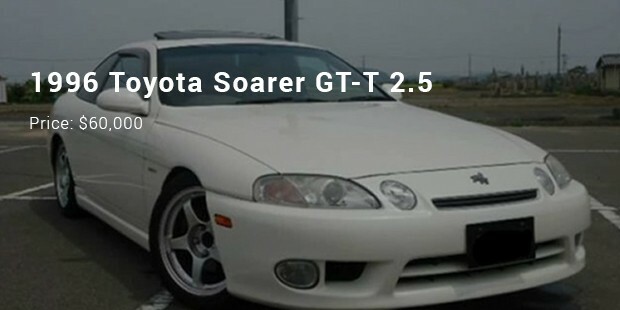 Toyota Soarer is positioned as a personal luxury vehicle and it was launched in 1996. 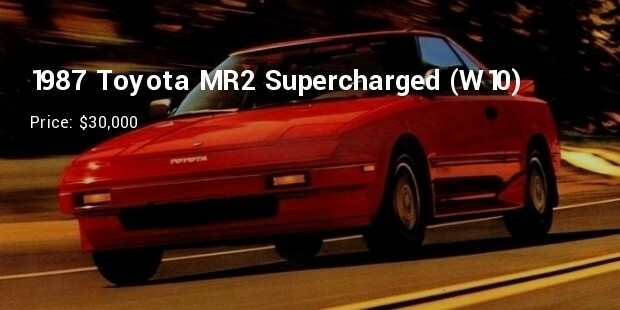 It emerged as a strong competitor to Mazda Cosmos and Nissan Leopard. The Soarer had the lion emblem throughout the vehicle. 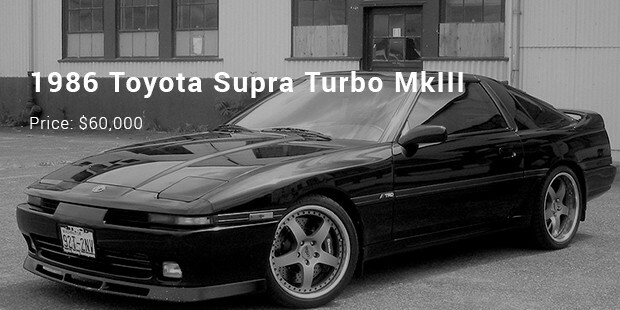 A grand sports car Toyota Supra is extremely efficient. The unique feature of this car is the inline 6 cylinder engine. Some features of the car are head lamp washers, limited slip differential, three low links, upper control arm, thick anti roll bar and many more. Though it looks like an ordinary sports car it is even more efficient than cars in the market. 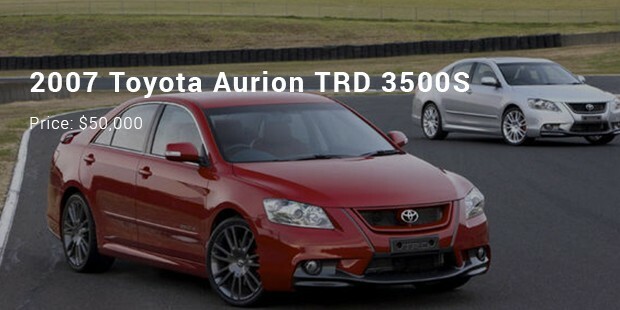 Toyota has positioned Aurion as a sports model. TRD refers to Toyota Race Development. Some of the unique features of the car are stunning display, perfect interiors, good fuel efficiency and the like. Toyota developed Aurion as a performance vehicle in the sedan category but did not reach the mark. 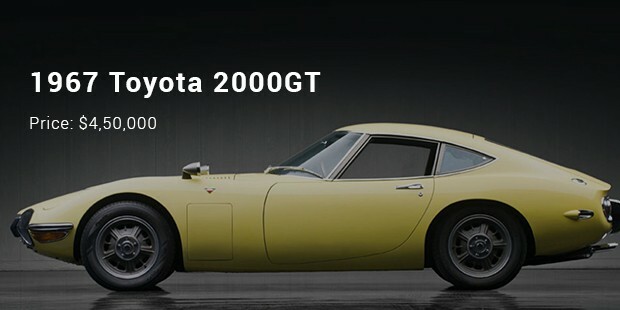 Toyota GT is one of a kind. 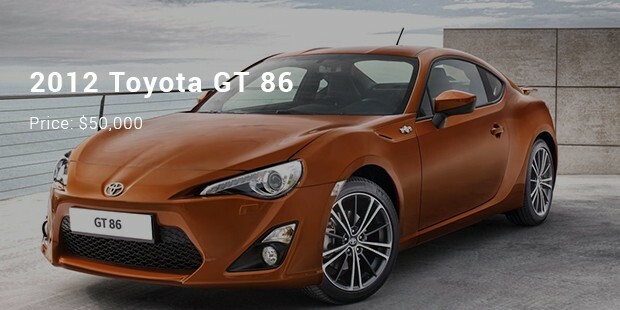 A good looking sports car, it has some exciting features – 2.0 litre petrol boxer engine, fuel injection system, 16 inch alloy wheels, sharp steering and strong chasis.It is a great looking sleek car for sports car enthusiasts. 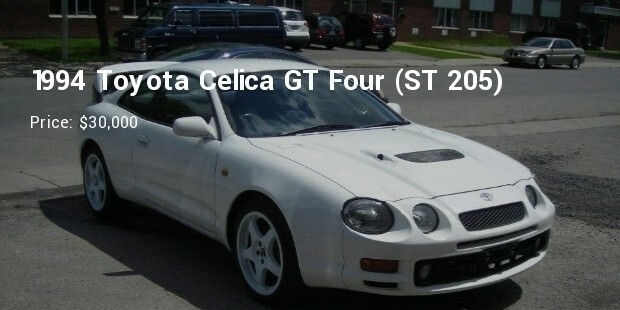 A beautiful fourth generation car, this Toyota has St4 turbo engine, 5 speed manual gearbox, 121.9ci engine. 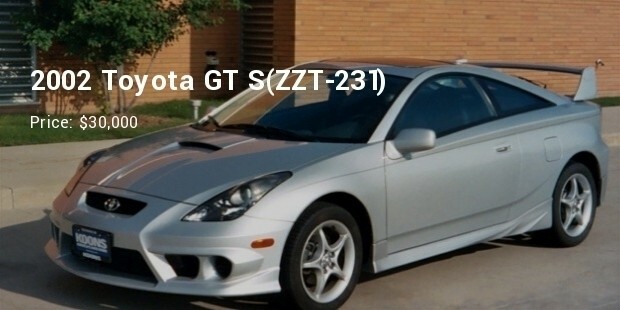 Celica can cover an estimated ¼ mile in an estimated second. Indeed a good car to own for the price. 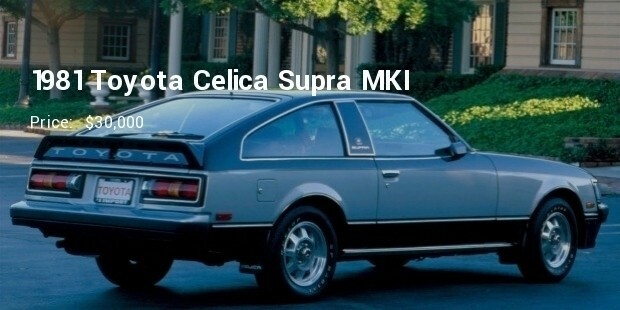 Toyota Celica Supra MKI is a sports car. The 1981 model has a 12 valve SOHC engine. Other features which make the car special include sports suspension, raised white tires, front and rear spoilers. The car could achieve 0 – 60 mph in a matter of just 10.24 seconds. This generation VII Toyotas had some exciting features like coupe body style, rear spoiler, front bumper, door lock controls, power windows etc. There were seven generations of this car and this is the last generation produced. Originally conceived as a small economical car, this generation I Toyota has some special features like light body, small displacement engine, and four valves per cylinder motor. There were three more generations of this car sold in the market. The most expensive Toyota cars are undoubtedly some of the beat steams in the whole wide world. A favorite of most of car connoisseurs, these highly expensive Toyota wheels command great reverence given their smart looks and high end engineering.